If your looking to rent a rolloff in Kansas City, don’t accept slow responding companies or late deliveries. For over 10 year’s we’ve delivered our dumpsters on-time, when and where our customers need them. If you have any questions, would like a price quote, or want to schedule a delivery give us a call at 816-399-0166. Here are some examples of canister sizes used for common projects that require a city of Kansas City dumpster rental. There are three simple steps that you’ll want to complete to get the right dumpster in Kansas City at the best possible price. First, you’ll want to do a little organizing so you have the information necessary to get a price quote from a dumpster roll off company without any hassle. Next, going to want to contact a couple of dumpster rental companies as their availability and pricing can vary substantially. Lastly, you’re going to want to make appropriate arrangements for when the dumpster arrives and for having it picked back up. There are a few things that every dumpster rental company is going to need to know to be able to provide you an accurate price quote and assure you that they will have the appropriately sized dumpster available for the dates that you needed. You’re going to want to make sure you gather this information at least one week prior to the date you would like your dumpster to be delivered. The first thing you’re going to need to do is figure out what size of dumpster you think you will need for your project. Roll off dumpsters traditionally come in for sizes; 10, 20, 30, and 40 yards. There is no perfect way to know exactly what size dumpster you will need so while making your estimate its best to error on the side of a larger dumpster, avoiding the need and additional charges that come with having to have a second dumpster delivered. The easiest way to determine what size dumpster you’ll need is to take any measurements of the rooms you will be remodeling or any rooms you will be cleaning out. Then be prepared to describe for the dumpster companies the type of debris your project will be generating. This is important not only to aid them in making an accurate estimate of the size of dumpster you will need, but also because certain types of waste materials are prohibited from being disposed of in a rented dumpsters. You also need to decide what date exactly you would like your dumpster delivered and how long you will need it for. Every dumpster rental company that you speak with will need to know exactly which dates you need the dumpster for so they can check their inventory and be sure they will have a dumpster available to meet your needs for those specific dates. The last thing to give some consideration to is do you really need a rental dumpster or would you be better served by using a junk removal company. Often times, it is easier and cheaper to just hire a junk removal company to come and remove any waste, debris, appliances, etc. from your home. It is best to plan on contacting anywhere from 3 to 4 dumpster rental companies to find the best pricing and dumpster availability. You’re going to want to do a bit of research to make sure that these companies are reliable and reputable. Like with most businesses you have not worked with in the past it’s best to do a bit of research to create a short list of companies to contact. The best ways to do this are to ask friends, contractors you may be working with, and if necessary do a bit of research on the Internet. Once you’ve come up with your short list, there are three things that each dumpster company is going to need to know from you. The date and location that you’re going to require the dumpster as well as the amount and type of debris you’ll be putting in the dumpster. You should have this information readily at hand from the organizing you did prior to the step. There are also several things you’re going to want to find out from the dumpster company. 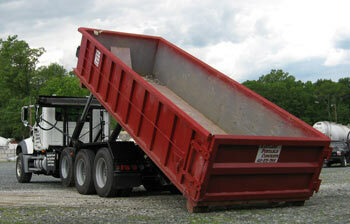 First will be to get their recommendation on an appropriate size dumpster for your project. Have them check on their availability for that size dumpster for the dates that you require. Lastly you’re going to want to get a firm price quote, which means you’re going to need to ask some additional questions. It is common for dumpster rental companies to have additional fees and/or penalties if certain conditions are not met. You’re going to want to find out what these additional costs are and what you need to do to avoid them. Dumpster prices are often quoted not only on the size of the dumpster but with a weight restriction, and an additional charge if you go over this restriction. It’s important to ask if there are way restrictions and what additional charges will be incurred if you go over the weight limit. Additionally, there are often charges related to disposing of the canister at the landfill. It’s important to ask if the price you’ve been quoted includes landfill charges or if they are an additional charge. The last thing to confirm is if there are additional charges if you happen to need the canister for longer than your schedule project time and what exactly those charges are. If you are planning on having the dumpster placed on a city street you will also want to ask the dumpster company if a permit is required. If so, are you required to get the permit in Kansas City or will they prior to delivering the dumpster. 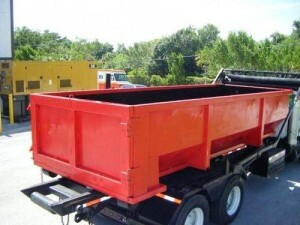 By doing a bit of organizing and asking the appropriate questions you can be confident that you will find an appropriate size dumpster that is available on the dates that you require and at the best possible price. Additionally, you will have the information you need to make sure you don’t inadvertently incur any additional penalties or charges. When the dumpster arrives there are a few things you’ll want to keep in mind, first is to prepare an appropriate location for the container. This means that there will be easy access to the drop-off area for the dumpster rental company. That the drop-off area is not on soft ground or a grassy area that can be damaged. Also, if you plan to have the dumpster delivered to her driveway it is often a good idea to have some plywood available to place under the canisters wheels to prevent any damage to your concrete or asphalt. It is best to not fill the dumpster more than 75% full if possible, but at a minimum, do not fill the dumpster above the canister walls as the dumpster company will need to cover the canister while transporting it to the landfill. Also beware, not to dispose of any prohibited items or exceed the weight limit if one was provided by the dumpster rental company. 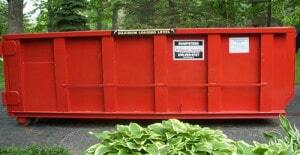 Renting a dumpster is not something that is done often and is not complicated. With a little organization and preparation you can make sure it doesn’t interfere with completing whatever project it is you’re undertaking. At the same time making sure you minimize the cost and avoid doing any additional damage to your property.